Greater knowledge of disease risk factors, new approaches to detection and monitoring, and innovative treatments are positively impacting glaucoma outcomes. Should We Add Vitamin B3 to the Water? Undoubtedly in 2017, glaucoma clinical practice focused on minimally invasive glaucoma surgery (MIGS). MIGS represents a broad group of small surgical devices characterised by minimal conjunctival dissection, short operating times, rapid recovery and a good safety profile. This is a rapidly expanding field with trans-trabecular devices (eg iStent, Glaukos), increasingly performed in conjunction with cataract surgery. Other devices are available, with a growing body of supportive data, such as the Cypass (Alcon), which creates a cyclodialysis cleft and drains to the suprachoroidal space and the Hydrus microstent (Ivantis), a fenestrated curved tube that enters, passes through and dilates Schlemm’s canal. Currently, Medicare restricts the use of these devices to only at the time of cataract surgery, although work is underway to expand the availability for the procedure to a wider body of glaucoma patients, and potentially allow stand-alone MIGS procedures. Glaucoma filtration surgery (eg. trabeculectomy, tube surgery) involves creating an aqueous drainage pathway from inside the eye to the subconjunctival space. Some preliminary results have been released for the Primary Trab vs. Tube Study (PTVT) that attempts to settle the question as to whether a primary drainage tube may be better than trabeculectomy as a first surgical procedure for glaucoma. In a word, no.7,8 IOP control was better in the trabeculectomy group, especially in those with lower starting IOP. The complication rate was similar despite more early complications/interventions in the trabeculectomy group. The Xen Gel Implant (Allergan) is a soft collagen implant that is inserted, ab interno, from the anterior chamber into the subconjunctival space creating a bleb. In many ways it is more similar to traditional filtration surgery than to other MIGS devices. It is increasingly used as an alternative to trabeculectomy, although quality head-to-head studies comparing Xen to trabeculectomy are few. The Xen was shown to be effective in uveitic glaucoma, despite the potential for sight-threatening complications of hypotony, bleb infection9 or suprachoroidal haemorrhage10 (ie similar complications to a trabeculectomy). Externally applied micropulse cyclophotocoagulation (M-CPC) is an alternative mode of laser delivery to continuous wave cyclophotocoagulation (CW-CPC). Micropulse has a high post-treatment inflammation rate (46 per cent after three months) and a similar but potentially lower complication profile than CW-CPC.22 More head-to-head studies are required comparing micropulse to continuous wavelength and to endoscopic CPC to better elucidate this rapidly developing technology. We have yet to improve the 50 per cent undiagnosed glaucoma rate in Australia. However, new advances in diagnostic technology, a greater drive for optometry-led detection, and an emphasis on first-degree relative screening such as through the TARRGET study may improve the detection rate. The last few years have seen an explosion of genes identified in glaucoma pathogenesis. Novel loci include: for POAG (ABCA1, AFAP1, GMDS, PMM2, TGFBR3, FNDC3B, ARHGEF12, GAS7, FOXC1, ATXN2, TXNRD2); PACG (EPDR1, CHAT, GLIS3, FERMT2, DPM2-FAM102); and pseudoexfoliation syndrome glaucoma (CACNA1A).37 There are so many genes implicated that work is beginning to move towards better phenotyping of glaucoma for targeted gene studies, and studies looking at the functionality of these genes and interactions with each other (ie. is it combinations of gene anomalies rather than a single gene that is causative?). Stay tuned. 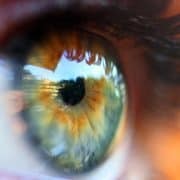 Additionally, a retrospective study looking at risk factors for rapid glaucoma progression showed rapid progressors were older, had significantly lower baseline IOP and central corneal thickness, and significantly higher rates of cardiovascular disease and hypotension.39 Further prospective study needs to be done to better understand the pathophysiology behind this finding. Drug development for new glaucoma therapies has been slow but continues. Rhopressa (Netarsudil 0.02 per cent) is a once daily topical agent with two mechanisms of action and two targets. Rhopressa targets rho-kinase (ROCK) and a norepinephrine transporter (NET). Trial results (ROCKET1-4) yet to be published seem promising. The most common side effect was mild redness of the eyes. A combination product, Roclatan, is a once daily, combination of netarsudil 0.02 per cent + latanoprost 0.005 per cent made by the same company (Aerie Pharmaceuticals). Initial results from two trials (Mercury 1 and 2) also seem promising. As clinical and laboratory science marches forward, we must stay nimble in our approach to clinical practice, and translate the new knowledge into better, more efficient and more inclusive glaucoma care delivery to all patients. Clinical Associate Professor Andrew White is a clinician scientist ophthalmologist at Westmead Hospital with a subspecialty interest in glaucoma. He is a Clinical Senior Lecturer and has research affiliations with the University of Sydney at both the Save Sight Institute and Westmead Millennium Institute where he has an active laboratory. Clin.Assoc. Prof. White has multiple peer-reviewed scientific publications and published conference abstracts. He is a regular invited speaker at overseas conferences and is actively involved in training medical students, registrars and fellows in cataract and glaucoma. He also lectures optometrists and optometry students in Glaucoma. Dr. Simon Skalicky, FRANZCO, PhD, BSc (Med), MPhil, MMed, MBBS (Hons 1) is a glaucoma subspecialist in Melbourne. He is a Clinical Senior Lecturer at the University of Sydney and University of Melbourne. Dr Skalicky is widely published and actively involved in teaching. He is a federal Councillor for Glaucoma Australia and Associate Advisory Board member for the World Glaucoma Association. Dr. Skalicky specialises in glaucoma and cataract surgery.